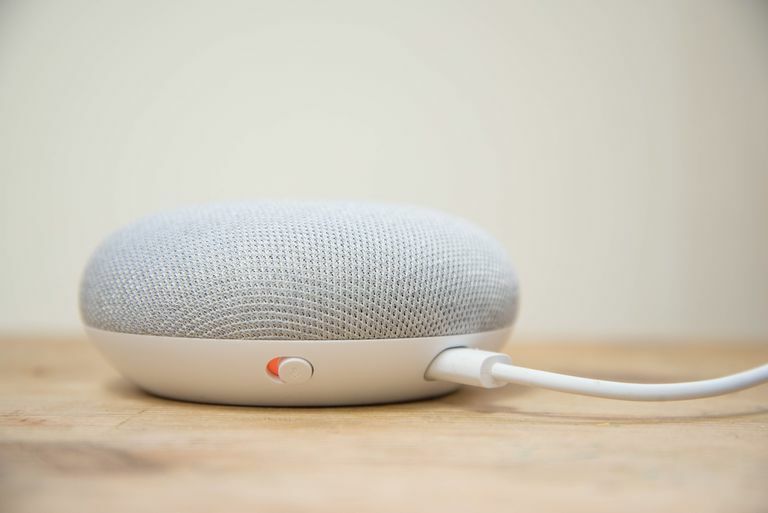 Your Google Home devices aren't just for turning on your lights or listening to some music. Try these great, interactive, Google Home games to test your knowledge and entertain your family! Chances are you've played Mad Libs on a pad of paper. But with your Google Assistant you can quickly create a surprising and funny story without any idea where the plot is headed! Ready to play? Say "Hey Google, lets play Mad Libs!" Family-friendly, with lots of different environments, and an online map and community to help you explore them all. Another offering from the same company, Rogue's Choice, provides a more adult-appropriate story in a medieval world for mature adventurers. This one isn't a quick game; it can take a long time to explore all the areas. Remember the novels where you used to make a choice and then turn to the directed page? Now you can do that with your Google device as your partner in crime. Ready to find some adventure? Say "Hey Google, open the Magic Door!" Nothing. There is nothing to not like about Wait Wait, Don't Tell Me! Ok, maybe it's not great for kids. Ever listen to "Wait Wait, Don't Tell Me" on NPR and thought you'd make a great contestant? Here's your chance! Hosted by Peter Sagal and BIll Kurtis, the Wait Wait Quiz will ask questions pulled straight from this week's headlines. Ready to brush up on current events? Say "Hey Google, talk to the Wait Wait Quiz!" So, are you feeling lucky? If you're a trivia buff then Lucky Trivia is the game for you. Your Google Assistant will act as host for a quick-paced game for you and up to five of your buddies. Ready to test your knowledge? Say "Hey Google, I'm feeling lucky!" The party game "Would you rather..." is always fun, but sometimes coming up with ideas is hard. Absurd is the Word puts your Google Assistant in that role, asking for you to pick a category and then name items within that category. The result? You might get asked which movie star is the weirdest, or which author you'd rather marry. Ready to learn something new about your friends? Say "Hey Google, lets play Absurd is the Word." Crystal Ball: The Magic 8 Ball, Minus All the Shaking. Remember the Magic 8 Ball and it's wonderfully vague-yet-sometimes-foreboding responses? Well, Google Home can be your next-generation fortune teller. Ready to learn about your future? Say "Hey Google, lets play Crystal Ball!" Think you know every rap song under the sun? Song Pop is ready to put your musical prowess to the test! Ready to start humming along? Say "Hey Google, lets play Song Pop!" Remember playing 20 questions on long road trips? Akinator is ready to read your thoughts and figure out who you're thinking of. You choose a character, Akinator will ask you questions to determine who it is! Ready to see if you can outsmart the genie? Say "Hey Google, let me talk to the Akinator." Ever listen to the radio and hear a contest where listeners have to name a random sound? Mystery Sounds is here to help you hone your skills. Your device will play a sound and you'll get to guess what it is. Ready to play? Say "Hey Google, lets play Mystery Sounds." If you're missing your favorite Blackjack table, Google Home is here to help. Deal in and see if you can beat the house; by the way, the house will remember your streak. Ready to try your luck? Just say "Hey Google, let me talk to 21 Blackjack!" Tic Tac Toe is easy, right? What if you can't see the paper with the X's and O's? Play against your Google device and see if you can remember where to make your mark next. Ready to stretch your brain at this simple classic? Say "Hey Google, lets play Tic Tac Toe."